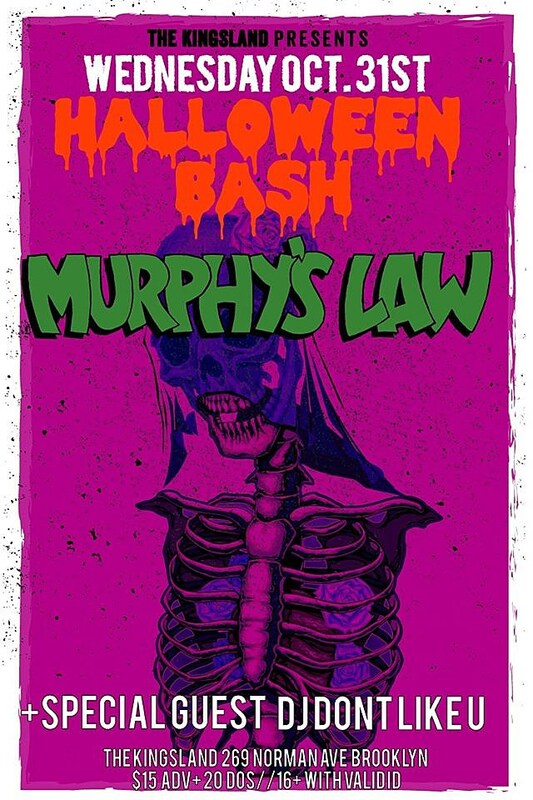 A few weeks ago RtBE had the privilege to attend a benefit for Jimmy G the lead singer of Murphy's Law who has been dealing with medical issues and bills. Jimmy was in attendance and thankfully is recovering. So much so that they will be playing their first show back on Halloween in Brooklyn. It is great to hear that Jimmy and crew will be back hitting the stage at The Kingsland in their home borough, even better news is that Drunken Rampage will be opening the show. RtBE has a personal connection with that band to as our friend Simon is the lead singer. While Halloween falls on a school night, we may need to head out to BK to catch this great punk/NYHC lineup. Below is a few songs from both bands to get in the mood.